In my day-to-day responsibilities, which are decidedly earthbound, I survey intertidal marshes for birds in a pair of chest waders, frequently sinking past my knees in mud. 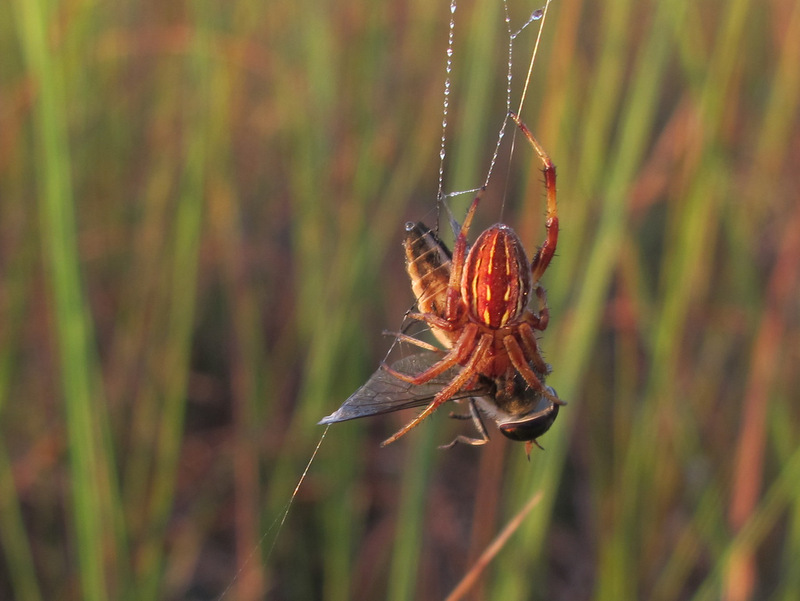 These surveys are a snapshot into how birds utilize different habitat, specifically pre- and post-restoration marshes and agricultural fields. However, I was lucky enough to get a glimpse of the big picture. 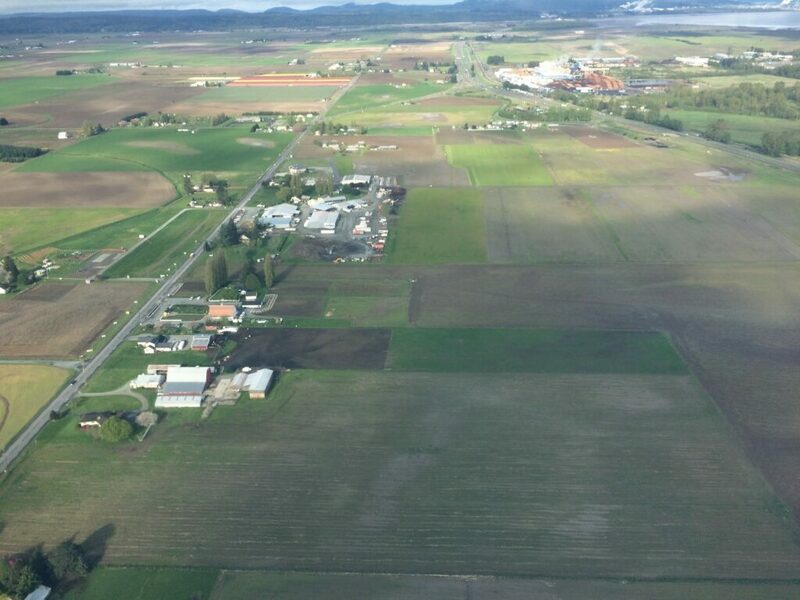 Skagit Valley from a bird’s eye view. Note the tulips blooming in the left hand corner at the top. During the spring migration, thousands of shorebirds travel from the warmer latitudes to the northern climes to breed. Species like Dunlin and Western Sandpipers flock together by the thousands, stopping in places like Fir Island Farms and Leque to catch a quick bite to eat before heading north again. 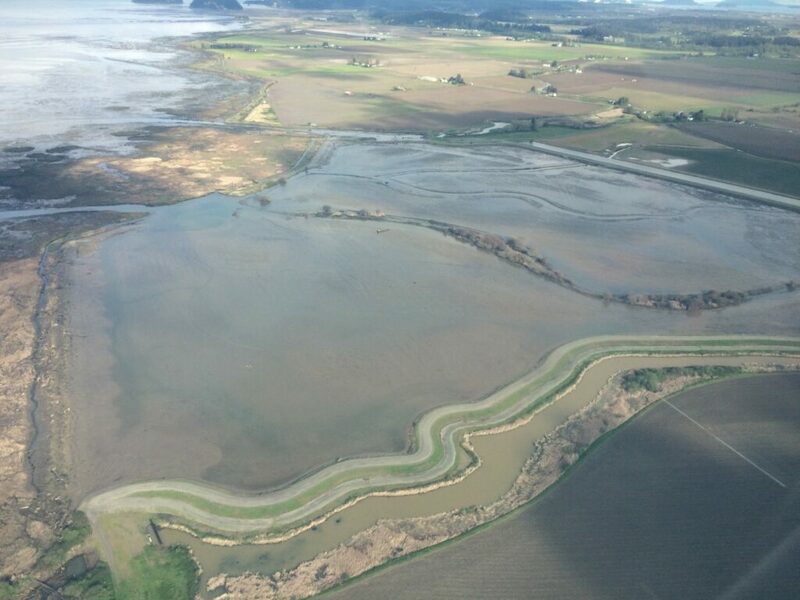 Fir Island Estuary Restoration project from the air. This is, in part, why estuary restoration is so important. Without these rich areas of intertidal marsh, which has large disappeared due to human development, shorebirds cannot complete their long migration. 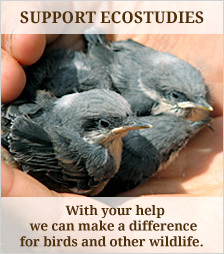 These small patches of estuary form “stepping stones” and are of vital conservation concern. We conduct aerial surveys during the riot of the spring shorebird migration to better understand how shorebirds utilize habitat outside of our study sites. When the high tides recede across the mudflats in Skagit and Padilla Bay, the small invertebrates that shorebirds eat are close to the surface and easily accessible to those probing bills. We flew during these tidal conditions with binoculars and GPSs to count the flocks of feasting birds. 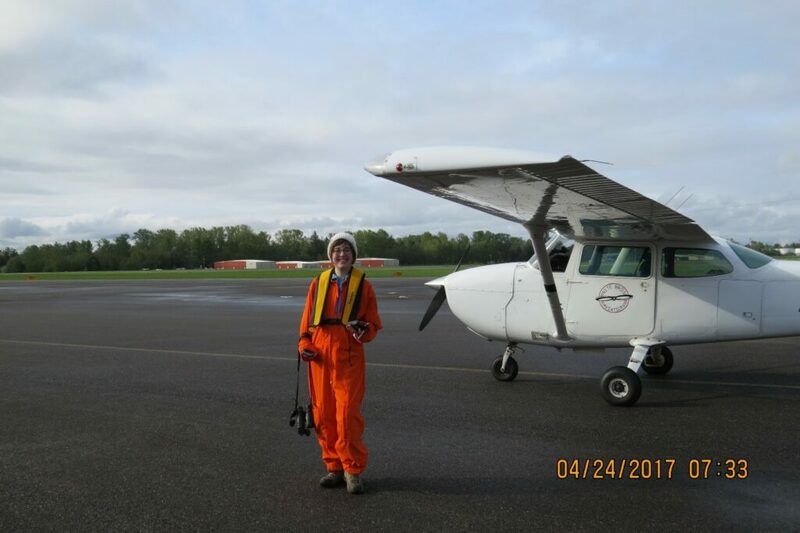 Both our aerial surveys were successful. We counted almost 5000 birds, mostly Western Sandpipers and Dunlin. From the air, these little birds are nothing more than bright specks of white catching the light as they move in response to our approach. They can be very difficult to spot if you don’t know what you are looking for.